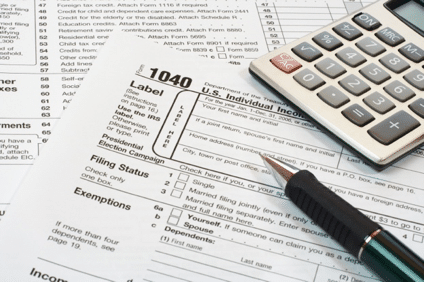 Tax Returns: Save or Shred? Completing your tax returns is often a cause for celebration—because whether you’re due a refund or you owe, just getting them done and filed is a load off your shoulders. And now with the ability to e-file, doing your taxes is easier and faster than ever. But even when filing digitally, most people have a paper copy of the return and a bunch of receipts and documents related to it that they keep for an unspecified amount of time; and they do this year after year, creating mounds of paper. So the question is; how long is too long to store tax returns? Discarding old tax returns is a hard thing to do for a lot of people—it’s one personal record that we’re all made to believe we should hold onto forever. And with good reason, it not only contains tons of confidential information that can be used to steal your identity, but you also never know when the IRS will come knocking on your door for an audit. If you’re hoarding documents from tax years before the year 2000, it’s time to let go. The fact is, most experts agree that the average American can safely get rid of their tax returns after three years. The exception would be if your tax situation is complex, you’ve been audited before or if you’ve had tax issues in the past—in these and similar cases, it’s a good idea to make digital records and keep paperwork a little longer. If you’re unsure, it’s always advisable to speak with your CPA or get in touch with the IRS. Throwing out your old tax returns, W-2 forms, 1099s and any other documents is daunting to be sure, and should be handled properly to ensure that no one can get a hold of them. The reality we all face today is that paper records can be lost or stolen, therefore posing a major security risk. Shredding is the best and most permanent option and can give you peace of mind that your personal information won’t fall into the wrong hands. When it’s time to destroy old tax returns and other confidential documents, All Points Mobile Shredding will come to you, giving you an added layer of protection by allowing you to view the process firsthand. In this process, your records never leave your sight and you’ll receive a certificate that authenticates that these items have been destroyed. We hire drivers and shred technicians who have served in the U.S. military and gone through extensive training on the handling and destruction of confidential documents—they’re committed to ensuring your satisfaction. To request onsite shredding at your home or office, give us a call at 772.283.4152. ← Why is discarding old hard drives dangerous?